Welcome back to the final article in our real estate negotiations series. If you missed the last one you can check it out HERE. No one wants to make mistakes. That’s why education is so important. Understanding how to avoid negotiation mistakes should be an important elements for any business. Real Estate investing is no different. Learning from others mistakes is a great way to ensure you stay on the right track. 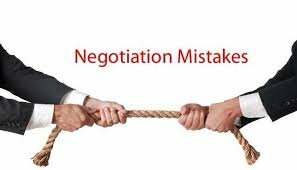 Let’s review some negotiation mistakes to avoid when acquiring real estate. People want to haggle. If you don’t negotiate and you accept their first offer, then they will think that they didn’t get a good deal. They will think that they left money on the table because it happened so effortlessly. Even if they did get a good price, their perception will be that they took too low of an offer and as a result would not see it as a win-win negotiation. As a rule, you should never accept the first offer. Commercial real estate investing is based on Net Operating Income. The price is based on the income it generates. Sellers want to show their property in the best possible light. If it is not performing well, they often try to sell the property based on future rents to make the financials look more appealing. These numbers are pro forma, and should never be used in your negotiations. If the seller wants to get an asking price that is based on market rents, then have him to increase the rents to the market level before he/she sells the property. One of the biggest negotiation mistakes is buying based on future data. If you buy a property based on future rents you will have a hard time getting the valuation needed to get the expected amount. Banks are conservative. They base their lending on facts and not on what “might” happen in the future. You NEVER want to overpay for a property. If you buy a property based on future rents, and you can’t attain those numbers after you’ve taken over the property, then you run the risk of losing money. Going into a negotiation with the assumption that you know what the seller wants is called “projecting”. It is the fastest way to get negotiated out of a deal! Even if you know what the seller’s background and situation is, never assume that you know what the seller is looking for. Always keep an open mind. Ask lots of questions. Base your strategy on the information that you collected and be prepared to move to Plan B if Plan A is not working as planned. Let me make this point as clear as possible. 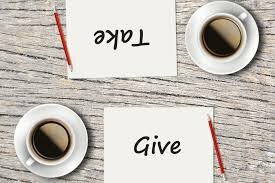 Never give anything away for free!! If you agree to close earlier without asking for something in return, you open the door for another request because the seller now knows that you’re a nice guy. They will try to ask for something else, because you agreed to do so the first time. Let your actions tell the seller or the seller’s broker that any request for a concession on their end will be met by an equal or greater request for a return concession. They will get the message that there’s no free handouts. If you have read many of our blog articles you will know that we are huge proponents for doing your homework. Due diligence is absolutely critical in real estate investing. When you go into negotiations you need to be prepared for all offers and counter offers. You need to be aware of the market, the neighborhood, the competitors, etc. Not bring prepares is one of the biggest negotiation mistakes. You must anticipate objections before they arise and be prepared to answer them. You must know exactly where you want to start negotiating and where you want to end up. Not being prepared will mostly likely result in a win-lose situation – and YOU will be the loser. Good negotiations can make all the difference when it comes to investing in real estate. It allows all parties involved to get the most out of a transaction and everyone feels like they have accomplished something positive once the deal is done. Framing the negotiation around mutual interests, rather than your own personal interest alone, helps both sides feel good about it. Rather than looking for short-term gratification that bolsters your ego, keep your eye focused on the end result and the main reason you are negotiating – to solve a problem. Refrain from “I want” or “I need’ statements and work towards reaching a solution for both parties. 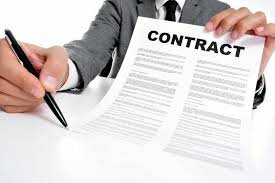 If after performing your due diligence you realize the deal is no longer viable, then you need to be able to get out without consequences. Make sure you have an escape clause in your purchase and sale agreement (PSA). An escape clause is verbiage you put in your PSA that will allow you to exit a deal and have your full earnest funds deposit returned to you. If you don’t, you could lose your deposit. On a large complex that could be very costly. Of all the negotiation mistakes, this one sounds the easiest to avoid. It sounds simple enough , but some people get so caught up wanting to do a deal that they offer a higher price than what they originally intended. Even if you are negotiating in the 12th hour, and despite multiple counter offers, NEVER go over your ceiling price. You do NOT want to overpay for a property. Before submitting an offer, we always ensure we have some wiggle room for negotiating as we expect there to be some back and forth. Establish the strike price and set your maximum price before you start haggling on price. If the deal doesn’t work, it doesn’t work. There is always another deal around the corner. When you are starting the negotiation process, it is always better to let the other party state their position first. There are several reasons behind this strategy. You usually try to reach a midpoint when you are negotiating. When you let the other party speak first, you gain the ability to define this mid-point for the rest of the negotiation. There is the possibility that the other party’s offer actually works in your favour and is more advantageous that the original offer. By letting the other party speak first you leave the possibility of taking advantage of this opportunity open for yourself. One of the strongest negotiating tactics that you can use is to listen more and talk less. 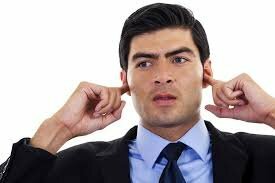 People generally feel uncomfortable by silence, especially when there are negotiations going on. By staying quiet you effectively throw the ball into the other party’s court. In addition, by actively listening you will learn more about their situation and the property. Knowledge is power. So the more they talk the more you can develop your negotiation strategy. These are just some of the negotiation mistakes you need to avoid when doing a real estate deal. Keep these in mind. Along with your in-depth research you should be able to successfully negotiate for a win-win scenario. This concludes our real estate negotiations blog series. To sum up, negotiating is a learned skill. Practice the techniques presented so that they become second nature to you. Always keep in the back of your mind that you are trying to solve a problem and you should be able to negotiate the price and terms that you can accept. Do your homework and avoid those costly negotiation mistakes, and you will help set yourself up for a successful outcome. If you want to learn more about real estate negotiation mistakes, or how real estate investing can benefit you, CONTACT US.